Organized at York October 24 to December 8, 1862. Moved to Washington, D.C., thence to Newport News and Suffolk, Va., December 8-17. Attached to Foster's Brigade. Division at Suffolk, Va., 7th Corps, Dept. of Virginia, to April, 1863. 2nd Brigade, 1st Division, 7th Corps, to July 1863. SERVICE.--Duty at Suffolk until June, 1863. Expedition toward Blackwater January 8-10, 1863. Deserted House January 30. Leesville April 4. Siege of Suffolk April 11-May 4. Edenton, Providence Church and Somerton Roads April 12-13. Somerton Road April 15 and 20. Edenton Road April 24. Operations on Seaboard & Roanoke Railroad May 12-26. Holland House, Carrsville, May 15-16. Dix's Peninsula Campaign June 27-July 7. Expedition from White House to South Anna River July 1-7. South Anna Bridge July 4. Moved to Washington, D.C., July 8. Mustered out July 28, 1863. Regiment lost during service 6 Enlisted men killed and mortally wounded and 11 Enlisted men by disease. Total 17. The troops composing it were exclusively from York County. Colonel Fulton had served previously as Captain in the Eighty-seventh Regiment. On the 8th of December, the regiment proceeded to Washington, where it remained two days, and then moved by transport to Newport News. On the 17th it was sent to Suffolk, where it became part of the command of General Peck, and was brigaded with the Thirteenth Indiana, One Hundred and Twelfth New York, Sixth Massachusetts, and One Hundred and Sixty-fifth Pennsylvania regiments. Suffolk is situated at the junction of the railroads leading to Weldon and Petersburg, and commands the approaches to Portsmouth and Norfolk. For its defense, General Peck was entrusted with fourteen thousand men and a few small gun boats, and in the operations incident thereto, the regiment participated. Regarding the force here assembled as a menace to the rebel capital and its communications, the rebel authorities sought to drive it out, and re-possess the territory south of the James, and to this end, sent General Longstreet with three divisions of the rebel army, subsequently strengthened by a fourth, under General Hill. Early in April, he approached and laid siege to Suffolk, and for a period of twenty-three days, and until after the close of the disastrous battle of Chancellorsville, closely invested the place, making frequent and powerful attacks, and constructing elaborate works for its reduction. On the 20th of April, a part of the One Hundred and Sixty-sixth was engaged in a skirmish on the right of the Somerton Road. Again on the 24th, companies A, C, D and H, formed part of a force which was sent out on the same road to capture and burn a house occupied by the enemy's sharp-shooters, much to the annoyance of the Union forces. A heavy skirmish resulted, in which these companies sustained considerable loss in killed, wounded, and prisoners. Foiled in all his attempts to reduce the place, Longstreet raised the siege early in May, and moved rapidly to re-join Lee upon the Rappahannock. Soon afterwards, General Peck sent out parties for the destruction of the railroads in the direction of the Blackwater. In a skirmish with one of these on the 14th of May, near Carrsville, the enemy attempted to cut off companies I and D of this regiment, while upon the skirmish line, and in the conflict which ensued, one of their number was killed, four wounded, and one taken prisoner. 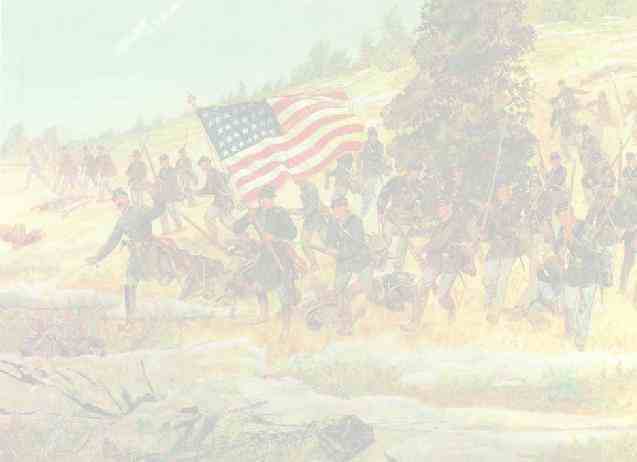 On the 27th of June, the regiment returned to Fortress Monroe, and thence proceeded to White House, on the Pamunky, where it remained until the 2d of July, when it marched with the right wing of the forces operating in the direction of Richmond, under General Dix, to Hanover Junction, for the destruction of the railways leading northward. This purpose having been accomplished, the command returned to Yorktown, whence the regiment proceeded by transport to Washington. Its term of service had now nearly expired. It was, accordingly, ordered to Harrisburg, where, on the 28th of July, it was mustered out of service.